Luke Willis Thompson, Cemetery of Uniforms and Liveries (2016). Commissioned by IMA Brisbane, supported by Creative New Zealand. Produced in association with Chisenhale Gallery and Create, London. Thanks to Hopkinson Mossman, Auckland; and Galerie Nagel Draxler, Berlin/Cologne. Luke Willis Thompson, Cemetery of Uniforms and Liveries, 2016. Installation view, Institute of Modern Art. Photograph by Carl Warner. Shown across three galleries at the IMA, Luke Willis Thompson’s exhibition of conceptual sculpture and film binds together three projects that mark the first five years of the artist’s work. The exhibition as a whole is conceived as a time lapse rather than a retrospective, as all the works simultaneously mine an enduring colonial legacy that shapes our present, as well as the art we cherish within it. Misadventure is the first solo exhibition of Thompson's work in Australia. It includes Thompson's first-ever film work, commissioned by the IMA, which precisely appropriates the technical specifications of Andy Warhol’s screen tests. This new work is at once a remake and a reconfiguration, introducing the politics of race largely absent from Warhol’s films; of the 472 individual Screen Tests Warhol produced, less than five featured people of colour. 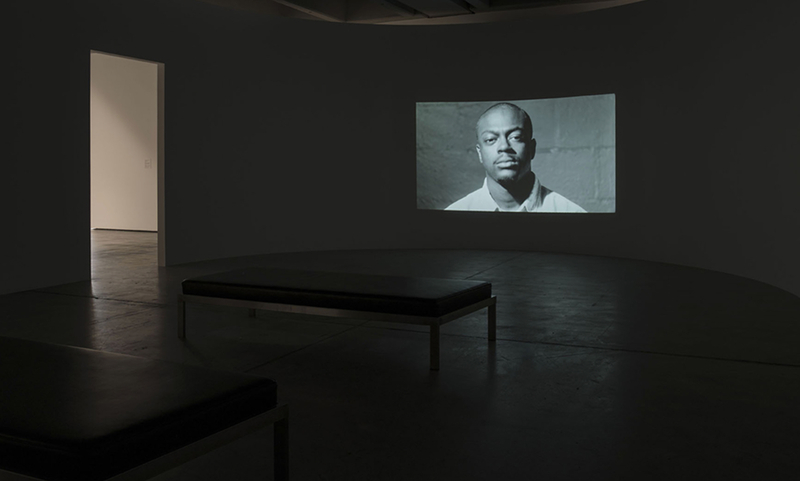 Thompson’s screen test brings race, violence, and grief to the fore by focussing on the descendants of victims of police brutality in London prior to the subsequent riots of 2011. 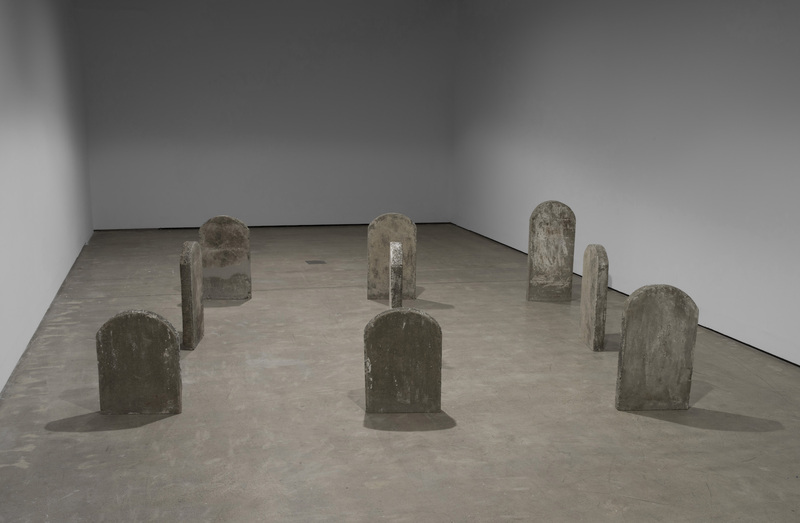 The exhibition also presents two major bodies of work featuring ready-made objects that confront social and racial traumas connected to colonisation in the Asia Pacific region. 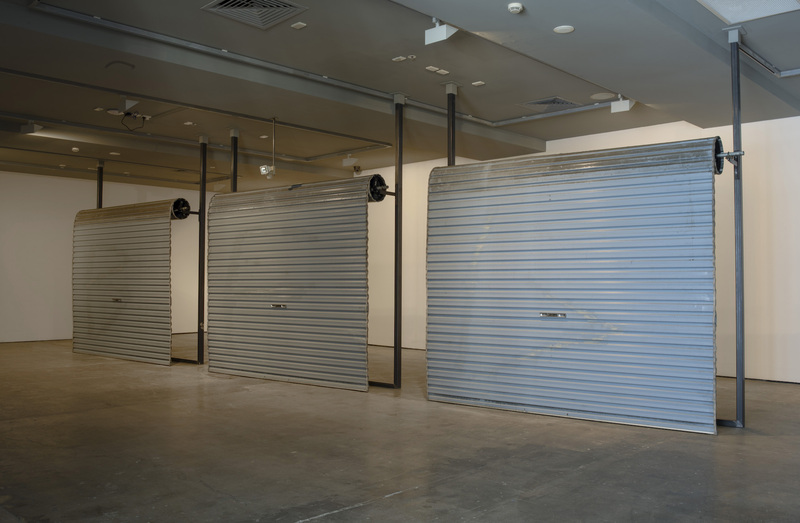 Untitled (2012) comprises three garage doors, custom metal stands, and an active security light and sensor. These everyday industrial objects bear visible traces of a grafitti act performed in 2008 by a Maori teenager, Pihema Cameron, which resulted in the pursuit and killing of Cameron by the owner of the property, a two-storey house with a double garage at its base. Like Untitled (2012), Sucu Mate/Born Dead (2016) introduces objects into the gallery space that materially bear witness to complex histories. The work is made up of nine headstones that are on loan for two years from the Balawa Estate cemetery in Lautoka, Fiji. This cemetery contains the graves of colonial migrant labourers from India, China, and elsewhere in Asia, who were indentured to sugarcane plantations. The cemetery is segregated along racial and social hierarchies. Colonisers’ graves occupy the upper part of the graveyard, which is set on a hill. Indigenous people are buried in the central section—including the artist’s own grandmother—while migrant labourers are interred at the bottom in an area which floods heavily. Thompson worked with the Fiji museum and the minister of culture in Fiji, to obtain permission to excavate the remains of damaged headstones and to repair their sites of excavation. Sucu Mate/Born Dead brings attention to the complicated historical interrelationships between cultures in the Pacific region, and highlights broader histories of exploitation central to colonisation. It also attempts to speak to the speculative possibilities of Pacific epistemologies in an era of ecological change. Luke Willis Thompson's practice creates situations where volatile meanings are suggested through gesture and encounter. The artist circumscribes a range of social, historical and political narratives that disrupt conventional ideas of being and spectatorship. Described as instances of tragedy or trauma, Thompson's works confront the viewer with uneasy questions of ontology and the ideology of the public gaze. Working between collective imagination and material trace, the artist provokes incompatible ideas regarding actions and institutions. The winner of the 2014 Walter's Prize, New Zealand's most prestigious art award, Thompson presented inthisholeonthisislandwhereiam, 2012, taking viewers by taxi to a home in Auckland's gentrified suburbs. Thompson has served residencies in Frankfurt and Cambodia, and exhibited extensively throughout New Zealand.